This formula is specifically developed for indoor, grow-room situations. Of course, it also gives good results outside. Terra Professional Plus is composed of airy peat moss and types of tree bark that have an antiseptic action. They promote exceptional root development and the formation of thicker stems. The special structure provides optimum amounts of air and water in the medium. 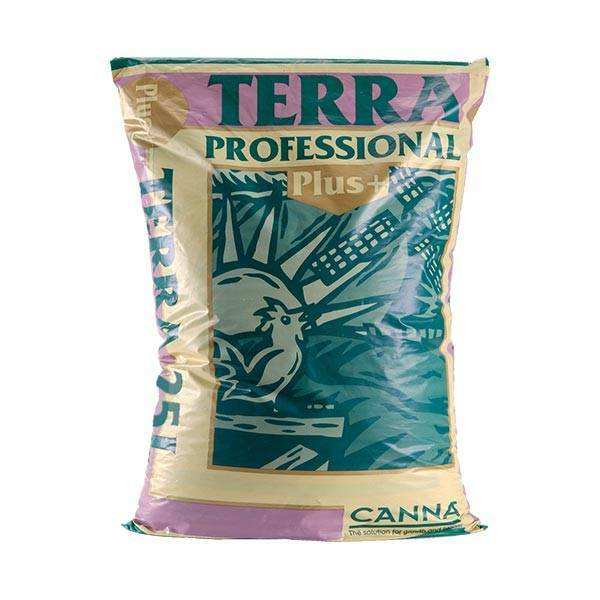 CANNA Terra Professional Plus contains trace elements and chelates, which protect the plants during growth.